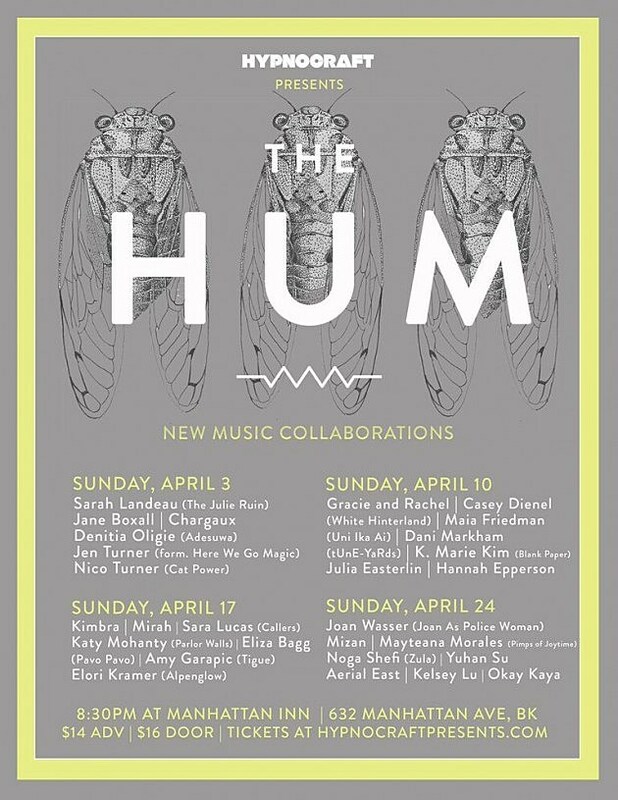 Another edition of the Hypnocraft’s The Hum, a series of unique all-women collaborative concerts, is returning to Brooklyn’s Manhattan Inn this April. Artists playing this one include Kimbra, Mirah, Joan As Police Woman, The Julie Ruin’s Sara Landeau, Kelsey Lu, White Hinterland, Okay Kaya and more, plus backing musicians for Cat Power, tUnE-yArDs, Here We Go Magic, and more. The shows happen every Sunday in April, with doors at 7:30 PM and music starting at 8:30. You can get tickets here and check out the lineups for each show below.